That day has finally arrived! 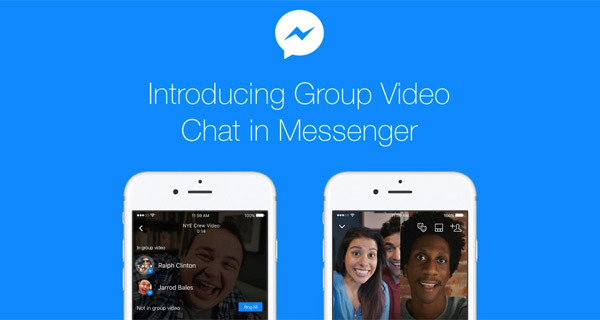 Facebook Messenger iOS, Android and web apps now support Group Video Chat with up to – wait for it – 50 participants. Yes, you read that right, 50. We all knew that Zuckerberg and company were working on such a feature, and given the launch of the group voice calling feature back in April this year, it was only a matter of time before video calls got the same love as well, and it looks like today is the day for it. Of course, if you’re reading this, you’re pretty much scratching your head wondering how a video call with 50 participants is going to work, right? For sure, you can’t interact with 50 people at once on you laptop display, let alone smartphone. Facebook tells us that at a time, users will be able to see 6 video feeds from 6 different participants. You can see up to six people at a time … but don’t worry if your group is a little larger because up to 50 friends can join in and choose to just listen in and join via voice, or be on camera. Once more than 6 people are on the call, just the dominant speaker is shown to all participants. So yes, if you’re not popular amongst your friends, you will likely be reduced to being a spectator. Jokes apart, this is some serious piece of new-found functionality that has been pumped into Facebook Messenger. Facebook has also allowed for Messenger’s core functions to remain in place during video calls, letting users send messages, stickers, and even animations – all while they are in group video call. In addition to the obvious, users will also be able to make use of some quirky Snapchat-like live filters to liven up a group video conversation. All in all, Facebook has just given Messenger another valuable lease of life with this new functionality. The update is rolling out to iOS and Android as we speak. Go ahead and update the Messenger app on your smartphone to the latest version to try out this new feature and then let us know about your experience in the comments section below.